Loving Michaela's idea of fashion for the traveler. 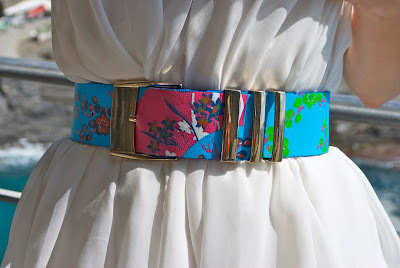 Opt for darling flats (yay for jellies), cuffed khakis and pull it together with a full of color belt. Don't forget that easy going spirit to bring on that fun laugh Michaela is sporting too.